What’s the purpose of the Tech400 Committee of the Greater North Fulton Chamber of Commerce? How do technology companies connect through the activities of this committee? What’s the latest on key technology sectors in North Fulton? 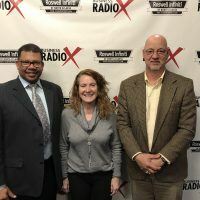 This podcast answers these questions and more, as Kali Boatright, CEO of the Greater North Fulton Chamber of Commerce and Host of “North Atlanta’s Bizlink,” interviews Winford Williams and Ralph Pasquariello, Co-Chairs of the Tech400 Committee of GNFCC. Winford Williams is a Senior Director within the Risk Solutions Division of LexisNexis Risk Solutions. His experience extends developing information products that service the personal auto and property insurance markets domestically and internationally. 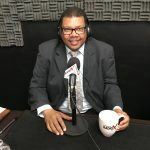 A 1985 graduate of DeVry University (Atlanta), Winford began his career in the insurance industry, as a software developer at Policy Management Systems in Columbia, South Carolina. For the past 30 years, Winford has contributed to the phenomenal growth of the LexisNexis Risk Solutions Division. He has led the construction of technology solutions that facilitate the underwriting experience for insurance carriers and large data warehousing applications domestically and internationally. 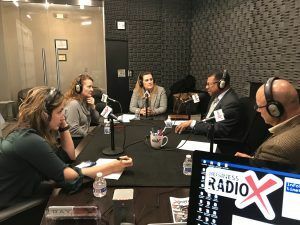 Currently, Winford is the co-chair of the Tech 400 Committee at the Greater North Fulton Chamber of Commerce to help solve the supply and demand gap that exists between corporations and higher learning institutions relative to filling technology jobs. 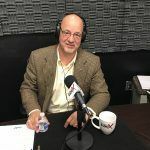 Ralph Pasquariello of Snellings Walters is dedicated to many things and Cyber Liability Insurance is one of them. Ralph hosts, moderates and speaks at conferences on Cyber Liability & Data Breach Risk Management. Ralph is the Co-Chairman for Tech 400, Chairman of the annual Cyber Symposium, an advisor to the Georgia Tech Research Institute, and also a member of various organizations including the GNFCC, Technology Association of Georgia, and several special interest groups. Ralph also is an associate member of the GA Electronic Crimes Task Force, under the office of the US Secret Service. Ralph graduated from Villanova University and is active on the Atlanta Villanova Alumni Chapter Board. 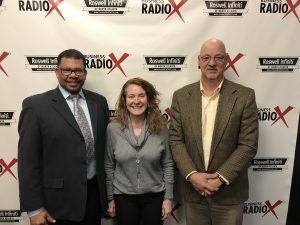 North Atlanta’s Bizlink is produced by the Greater North Fulton Chamber of Commerce (GNFCC) and is hosted by Kali Boatright, President and CEO of GNFCC. The Greater North Fulton Chamber of Commerce is a private, non-profit, member-driven organization comprised of over 1400 business enterprises, civic organizations, educational institutions and individuals. Their service area includes Alpharetta, Johns Creek, Milton, Mountain Park, Roswell and Sandy Springs. GNFCC is the leading voice on economic development, business growth and quality of life issues in North Fulton County. The GNFCC promotes the interests of our members by assuming a leadership role in making North Fulton an excellent place to work, live, play and stay. They provide one voice for all local businesses to influence decision makers, recommend legislation, and protect the valuable resources that make North Fulton a popular place to live. For more information on GNFCC and its North Fulton County service area, follow this link or call (770) 993-8806.